AET invites you to present at our 40th National Conference, Linking Assessment and Intervention: Collaborating In and Out of the Classroom. 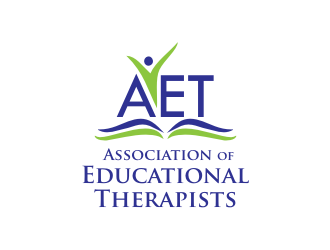 AET invites professionals of all backgrounds to submit a proposal for the 40th National Conference of the Association of Educational Therapists to be held in Hoffman Estates, a suburb of Chicago. This year’s conference will focus on the connection between assessment and intervention, and how supporting consultants can best collaborate with teachers and specialists in the school setting. Proposals that support the complexity of the Educational Therapist’s role in and out of the classroom are welcomed. Proposals should support the theme Linking Assessment and Intervention: Collaborating In and Out of the Classroom. Topics embracing assessment, academic interventions, speech and language disorders, attention and behavioral challenges, therapeutic relationships, family dynamics, educational psychology, and other areas relevant to educational therapy are invited. Presentations that support the theme of the conference, including the importance of the collaborative relationship between Educational Therapists and other specialists should reflect the challenges and complexity of educational therapy. A limited number of presentations are allotted in the schedule. Presentation and Panel sessions will be scheduled Friday morning, November 2; Saturday afternoon, November 3; and Sunday morning, November 4. Poster presentations will be featured during a scheduled afternoon poster session and during breaks on Friday and Saturday. The deadline for submission is March 12, 2018. Proposals that include multiple presenters must be submitted by the Primary Presenter. It is the Primary Presenter’s responsibility to collect all of the information requested for the submission process on behalf of all presenters participating in the session. All presenters must register for the conference at the published registration rates. A valid email must be provided for all presenters/panelists so we can contact you. The Call for Presentation Proposals submission process is completely electronic. After completing the online proposal form, email your Presentation Description and CV to Robert Kopchinski r.kopchinski@aetonline.org for consideration by the Conference Proposal Selection Committee. Presenters and the Primary Presenter will be notified of acceptance by May 11, 2018. You will be notified by May 11, 2018 as to the status of your submission. If your presentation is accepted, you will be asked to confirm the date and time of your presentation. You will continue to receive correspondence from the AET Conference Planning Committee via email. An electronic copy of your handouts to attendees, provided they are received by September 7, 2018. After you have completed the online proposal form, in order to finalize your submission, you will be asked to email an extended description with rationale (500 words, see detail below) and your CV to Robert Kopchinski (r.kopchinski@aetonline.org) . Your proposal submission will not be considered complete until: 1) all requested materials are received; and 2) any additional presenters or panelists have completed a short acknowledgement survey and submitted requested CVs.